One of 2018’s biggest acts were certainly Irish producers Bicep. Their live show caused raptures of awe wherever they played, and that included a huge Australian tour with slots at Pitch Music & Arts festival, Days Like This and sold out headline shows in Melbourne (Max Watts), Sydney (Oxford Arts Factory) and Brisbane (TBC Club). The duo’s production skills are starting to transcend the electronic music scene, and recently they co-produced a track for pop sensation Jessie Ware, the very infectious cut ‘Overtime’. Their Feel My Bicep label is also going from strength to strength, with its latest release courtesy of rising star Cromby, complete with remixes from DeFeKT and Shanti Celeste. Having built a sterling rep as curators, it was only a matter of time before the duo stepped up as producers. Cutting their production teeth with releases on Throne Of Blood, Traveller Records, Mystery Meat and Love Fever, Will Saul then snapped up the duo for a string of releases on his Aus Music imprint, including the now certified classic “Just EP” bearing the dazzling and ubiquitous title track that became the undisputed club track of 2015 and earned Bicep both Mixmag and DJ Mag’s ‘Track of the Year’. The duo have also collaborated with another groundbreaking UK duo ­ Simian Mobile Disco ­ and remixed for the likes of Disclosure, Blood Orange and 808 State. As label heads, their Feel My Bicep imprint has served as an outlet for some of their most warmly received original productions and remixes (and further releases from hotly­tipped peers too). Beyond its musical output, the logo created by designer Matt ­ a reference to their love for Italo disco ­ has become one of the most iconic logos in underground music and is synonymous with the duo’s legendary annual “Italo Disco” parties. Touring the world over, curating and selling out a long list of Feel My Bicep parties (including Manchester’s Warehouse Project and a 12­week residency at London’s XOYO), their formidable DJ efforts snagged them the #8 ranking in Resident Advisor’s “Top 100 DJs” 2016 poll. Then in 2016 they built and tested a roof­raising live show ­ a powerful counterpoint to their much loved DJ sets that not only highlights the breadth and depth of the Bicep discography, brings to the fore both their skilful production and formidable engineering chops, but again reinforces their genius curatorial flair. They debuted it at Moogfest, with further live plays reviewed enthusiastically (including at London’s Village Underground which sold out in 3 minutes). 2017 sees them embarking on an extensive live world tour, including festival plays at Coachella, Glastonbury, Primavera Sound, Melt, Dekmantel, Lovebox and Parklife, where they will run their own stage. Released on Ninja Tune, Bicep was heralded as one of the best-realised dance music albums of 2017, going in at #20 in the UK album charts. The record was framed by impeccable design across the campaign from Portuguese collective Royal Studio. It channelled a many-sided, personal gamut of club music influences – including (but not limited to) house, garage, ambient and breakbeat – into an album that’s as innovative as it is well-schooled in music, successfully striking that elusive sweet spot: making dancefloor-minded creations that work just as well for home listening. The duo are soon set to embark on a run of tour dates, bringing their sleek, carefully-honed new live show venues around the world for the first time. In Europe, they’re bringing their live set to Sonar, Reading & Leeds and Nuits Sonores, plus a sold out night at London’s iconic Roundhouse. The latter will feature extra eye-popping production, to mark a significant benchmark. In the US, they’ll be stopping by FYF Festival and Panorama. And they’re touring Australia, too, including two sold out dates in Sydney and Melbourne last weekend, and dates at festivals Days Like This and Pitch Music & Arts Festival this weekend. Finding spare time in-between their hectic schedule, they’ve recently moved studio and are currently working on new music. One of 2017’s biggest acts were certainly Irish producers Bicep. Their self-titled debut album shot to the top of many best-of-2017 lists, and their live show caused raptures of awe wherever they played. 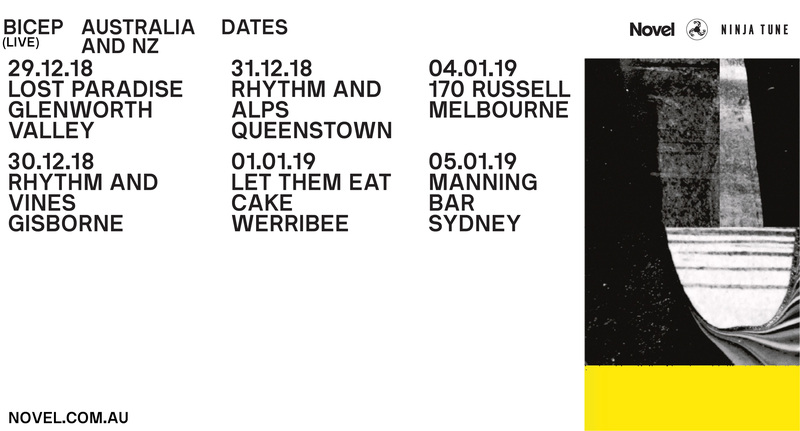 Returning to Australia in 2018 to be a part of the Pitch Music & Arts festival in Victoria, and the Days Like This Festival in Sydney, the duo will also play a an official Days Like This Festival headline side show at the Oxford Arts Factory. This adds to their tour itinerary which include headline shows in Melbourne at Max Watts and Brisbane at The TBC Club. This tour is easily one of the most anticipated of 2018. Touring the world over; curating and selling out a long list of Feel My Bicep parties (including Manchester’s Warehouse Project and a 12­ week residency at London’s XOYO); a #8 ranking in Resident Advisor’s “Top 100 DJs” 2016 poll: Bicep is easily one of the scene’s biggest acts, their popularity accentuated by a steady stream of high quality productions. The 2015 original production, ‘Just’, has been stamped as a stone cold classic, and their 2016 remix of Isaac Tichauer’s ‘Higher Level’, is considered one of that year’s most popular club releases. 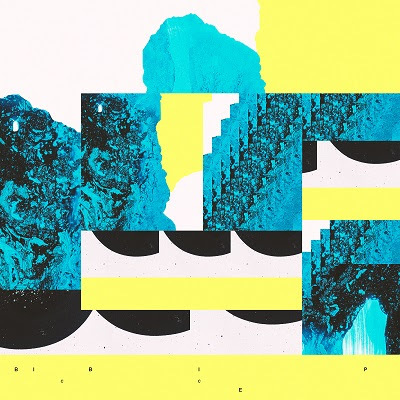 ‘Bicep’, their self-titled debut album released on Ninja Tunes this year, have been receiving plaudits from all the music media, everyone from Pitchfork to The Guardian celebrating their keen ear for infectious melodies and clean production skills. In 2016 they launched and tested a roof­ raising live show they built themselves, a powerful counterpoint to their much loved DJ sets that not only highlights the breadth and depth of the Bicep discography, but brings to the fore both their skilful production and formidable engineering chops. Watch a teaser clip from Bicep’s LIVE show! Album standout gets it’s own expanded EP. The 2015 original production, ‘Just’, has been stamped as a stone cold classic, and their 2016 remix of Isaac Tichauer’s ‘Higher Level’, is considered one of that year’s most popular club releases. ‘Bicep’, their self-titled debut album released on Ninja Tunes this year, have been receiving plaudits from all the music media, everyone from Pitchfork to The Guardiancelebrating their keen ear for infectious melodies and clean production skills. Longtime tastemakers and supreme DJs finally release their self-titled debut album after a series of insanely popular dancefloor anthems. Lead by future classics in “Aura“, “Vale” and “Glue” Bicep is the perfect summation of the duo’s career to date – it’s a sonic tour of their history touching the cornerstones of underground club culture, exploring classic house, techno, electro, italo disco and breaks. Earlier this summer, Bicep – the Belfast-born, London-based duo of Matt McBriar and Andy Ferguson – announced their eponymous debut album would be released September 1st via Ninja Tune. Since announce, the prolific duo have shared ‘Aura’, a propulsive club track and ‘Glue’, which reached #1 inSpotify’s UK Viral charts, a cut which embodies the raw energy of UK rave culture and could have emerged from the studio of Orbital or The Future Sound Of London at their trailblazing best. Today (premiered by The Fader), they share the album’s third and final single, ‘Vale’, a sprawling and atmospheric house cut, beautifully illustrating the album’s sentimentality. See the full set of dates below. Bicep are first and foremost music lovers with a deep-rooted knowledge and passion for music of all varieties. Over the span of their 10-year career, they have celebrated the music that inspires them via their Feelmybicep blog. Founded in 2008, its runaway success (it now sees over 100,000 visitors a month) spawned a record label of the same name, a club night, and took the duo out of the UK and embedded them on the international stage via highly sought after DJ sets that reflected the eclecticism celebrated on their blog. Accordingly they are venerated as trusted and esteemed curators in electronic music today. the forthcoming tour already sold out, the Roundhouse date is the next stepup the duo’s ever-higher ladder of live accolades. Ahead of their debut self-titled album release this Friday, Bicep – the Belfast-born, London-based duo of Matt McBriar and Andy Ferguson – today release their first ever official music video for recent single “Aura”. Premiering on NPR, the video was directed by Matilda Finn, who is just off the back of directing “Lost” by Danny Brown. The video, which was inspired by the definition of Aura – the distinctive atmosphere or quality that seems to surround and be generated by a person, thing, or place – is a journey into a dream sequence where the viewer follows an elusive figure and those that are drawn to him on a journey to the edges of humanity. The album Bicep out this Friday September 1 on Ninja Tune via Inertia Music is the perfect summation of the duo’s career to date – it’s a sonic tour of their history touching the cornerstones of underground club culture. Matt and Andy have pulled off the rarest of feats, to make a singularly unique electronic record founded on the blueprint of classic house, techno, electro and Italo disco, but flipped and morphed into a fresh design bearing the unique Bicep sonic signature. It’s a perfectly succinct album: loose, raw and energetic enough for the dancefloor, yet refined, artfully composed and contemplative enough for home listening. It is undoubtedly one of THE dance albums of the year. Earlier this year Bicep took Coachella and Primavera Sound festivals by storm and sold out their recent London show at Village Underground in 3 minutes flat. Following the album’s release, they’ll embark on an extensive live headline world tour including a stop at Electric Brixton in London. Bicep – the Belfast-born, London-based duo of Matt McBriar and Andy Ferguson will release their eponymous debut album, next Friday September 1 on Ninja Tune via Inertia Music. Since announce, the prolific duo have shared “Aura”, a propulsive club track and “Glue“, a cut which embodies the raw energy of UK rave culture and could have emerged from the studio of Orbitalor The Future Sound Of London at their trailblazing best. Today, they share the album’s third and final single, “Vale”, a sprawling and atmospheric house cut, beautifully illustrating the album’s sentimentality. The album Bicep is the perfect summation of the duo’s career to date – it’s a sonic tour of their history touching the cornerstones of underground club culture. Matt and Andy have pulled off the rarest of feats, to make a singularly unique electronic record founded on the blueprint of classic house, techno, electro and Italo disco, but flipped and morphed into a fresh design bearing the unique Bicep sonic signature. It’s a perfectly succinct album: loose, raw and energetic enough for the dancefloor, yet refined, artfully composed and contemplative enough for home listening. It is undoubtedly one of THE dance albums of the year. Playing Glastonbury, Pitchfork Festival, Melt! Bicep, the Belfast-born, London-based duo of Matt McBriar and Andy Ferguson, are pleased to announce their self-titled debut album, a record that truly encapsulates their history and the distillation of their passion for music and club culture since their first release in 2010. It will be released on Friday September 1 on Ninja Tune via Inertia Music. Cutting their production teeth with releases on Throne Of Blood, Traveller Records, Mystery Meat and Love Fever, Will Saul then snapped up the duo for a string of releases on his Aus Music imprint, including the now certified classic Just EP bearing the dazzling and ubiquitous title track that became the undisputed club track of 2015 and earned Bicep both Mixmag and DJ Mag’s Track of the Year. The duo have also collaborated with another trailblazing UK duo Simian Mobile Disco and remixed for the likes of Disclosure, Blood Orange and 808 State. The formidable DJs (#8 in Resident Advisor’s Top DJs of 2016 poll) have toured the world over, curating and selling out a long list of Feel My Bicep parties including Manchester Warehouse Project, a 12-week residency at XOYO and their annual Italo Disco parties. In 2016 Andy and Matt built and tested a roof-raising live show – a powerful counterpoint to their much loved DJ sets that not only highlights the breadth and depth of the Bicep discography, brings to the fore both their skillful production and formidable engineering chops, but again reinforces their genius curatorial flair. Earlier this year they took Coachella and Primavera Sound festivals by storm and sold out their recent London show at Village Underground in three minutes flat. Following the album’s release, they’ll embark on an extensive live headline world tour including a stop at Electric Brixton in London. The album Bicep is the perfect summation of the duo’s career to date – it’s a sonic tour of their history touching the cornerstones of underground club culture. Matt and Andy have pulled off the rarest of feats, to make a singularly unique electronic record founded on the blueprint of classic house, techno, electro and Italo disco, but flipped and morphed into a fresh design bearing the unique Bicep sonic signature. It’s a perfectly succinct album: loose, raw and energetic enough for the dancefloor, yet refined, artfully composed and contemplative enough for home listening.